We are all led to believe that our Government have our best interests at heart and yet they still raise billions every year by taxing a product that they know kills us. Along with tobacco, alcohol also raises billions annually in tax revenue and is also harmful for its users. 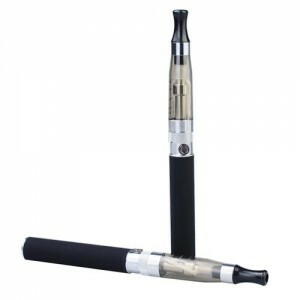 Recently, there have been news stories surrounding the safety of e cigarettes. The government protects workers with rigorous health and safety legislation, protecting less that 200 fatalities annually, while at the same time over 100,000 people die from smoking related illnesses but because of the massive amount of tobacco duty raised, cigarettes are not made illegal. 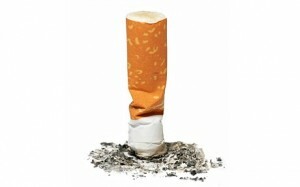 Where would the government find the £12.1 billion it would lose if smokers all quit tobacco? If the government earns enough money from harmful substances then it permits them. If e-cigarettes continue to grow in popularity, it will become necessary to regulate and therefore tax e-liquid. In time, with regulation, the large companies that dominate the chemicals industry will take over the market. Lost tobacco duty needs to be found from somewhere so it seems only logical that e-cigarettes will be regulated and taxed. Regulation will allow the UK government to recover lost tobacco duty by taxing e-liquid. There are two industries that will potentially be affected if electronic cigarette use continues to grow, the tobacco industry and the smoking cessation industry. Nicotine replacement products like patches and gum don’t replace the satisfying inhalation hit that a vaporizer will give you. It is difficult for tobacco companies to campaign against e cigarettes on health grounds. There are people who believe that the tobacco industry is supporting the smoking cessation industry in their fight against electronic cigarettes. When the government is in such desperate need of the duty raised by cigarettes, the health of the public may well remain a secondary consideration. If duty is applied to e-liquid then people may well decide to save money by making their own, which is quite easy to do. In the same way that tobacco companies warned people to beware of counterfeit cigarettes, the “official” manufacturers of e-liquid will no doubt look to protect the public from making their own e-juice. The governments attitude towards “counterfeit” cigarettes is “Don’t smoke these dangerous cigarettes that are cheap, smoke more expensive ones that will still kill you!” In the coming months we will find out what the extent of future regulation for e-cigarettes will look like. Taxing e-cigarettes and e-liquid is going to be the preferred choice for politicians. Despite being a much safer alternative to smoking tobacco, it electronic devices can’t be properly taxed then governments around the world are more likely to ban then instead. It seems unlikely that e-cigarettes and vaporizers will escape regulation. Shrinking tobacco duty revenues will cause the government to act on regulation and taxation of electronic smoking devices and e-liquid. It is seeming inevitable that at some point in the near future electronic smoking devices will be regulated to give the treasury some control of lost tobacco duty. Previous Post8 Secrets To Google TrafficNext PostHow Does The Paleo Diet Work?